Miles Davis Biography Mini-Unit - Look! We're Learning! Good morning y’all! We made it through yet another week! 🙂 It’s the end of the month, so it’s time for another entry in the Living History series! This month we’ve been learning about Miles Davis. Miles Davis had a comfortable upbringing, but a very troubled life. Ironically, his experiences seemed to help him grow and change as a musician, which is what led to his extremely long jazz career. He also made some terrible choices, eventually managing to rebuild his life with the help of his family and his love for music. He is most certainly not a role model, but his perseverance in the face of serious problems offers a great lesson for kids. And copywork based on an interview with the jazz great! 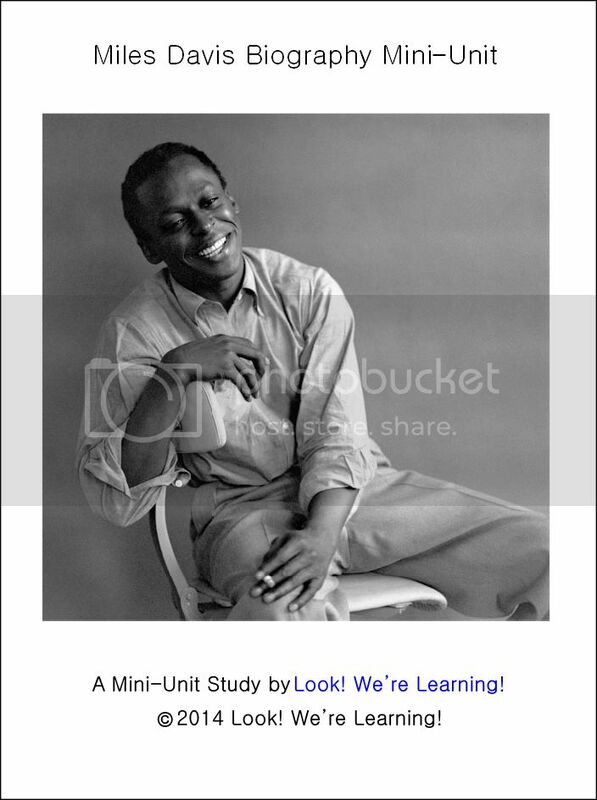 To download your copy of the Miles Davis Biography Mini-Unit, click the image or link below!